Genetic Disorders UK (GDUK) is the UK charity which aims to change the world for children with genetic disorders. Friday 22nd September 2017 is Jeans for Genes Day! All money raised on this day go to support Genetic Disorders UK. Schools, workplaces and other groups can all join in by wearing Jeans on this special day. The charity produce a range of resource materials for all ages to support Jeans for Genes Day and free downloads to help increase your fundraising activities. This means that thousands of families with some of the rarest conditions in the world can benefit from the money raised on Jeans for Genes Day. 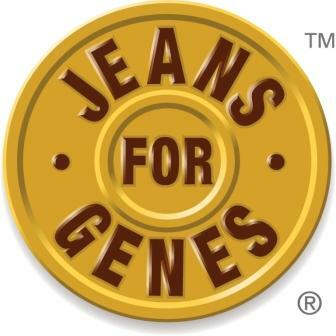 To apply for a Jeans for Genes grant you need to be a member of their partnership network. The 2017 grant programme is open to applications from 1st August 2017. Genetic Disorders UK has also partnered with the Newlife Foundation to offer essential specialist equipment such as pain relieving beds, wheelchairs, car seats and portable hoists. Applications for equipment should be made through the Newlife Foundation.